Sign in to your Creek Control Panel as an admin and get the API key at Tools > Settings > Integration (tab) > API Key. For one of the custom URLs, enable it with the nearby checkbox (see screenshot above), and then enter this URL below. Make sure to replace the API key with yours. 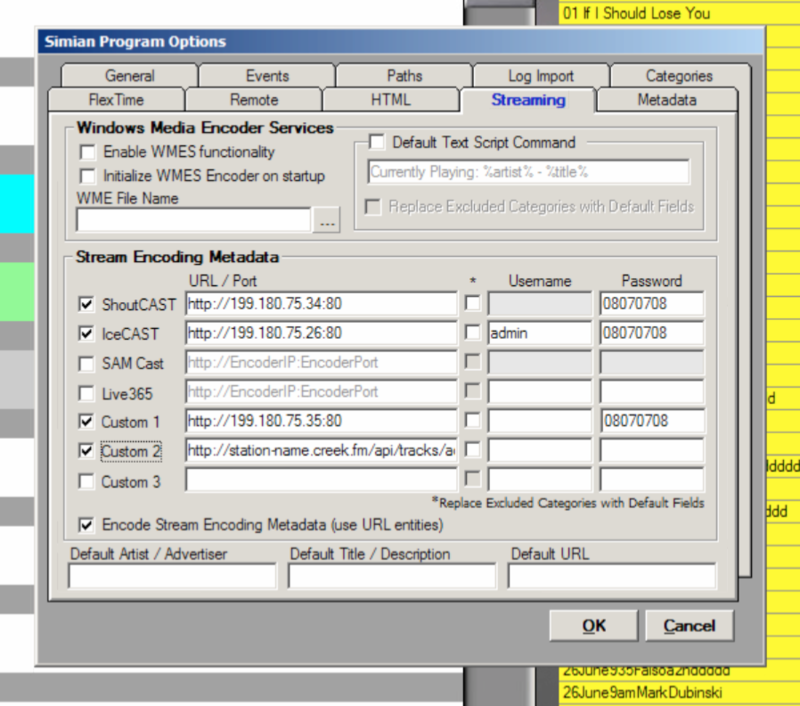 Enable the "Encode Stream Encoding Metadata" checkbox. Go to your Creek Control Panel > Tools > Tracks to make sure that tracks are coming in. Wait until the current song switches in Simian, pushing the new track to this API endpoint.